Congrats! Your project is nearing completion! All of your hard work has shown and your home looks better than ever! But what are some of the wrap-up steps you should take before you cross the finish line? 1.) INSPECTIONS: While inspections sometimes get a bad reputation, they really are imperative to ensuring safety and quality standards are met. Inspections have your best interest in mind! Ensure Mechanical inspections (plumbing, heating, electrical), and all other final inspections are completed. Sign-off with the local building inspector and get their approval that the project is fully code compliant. This will also indicate the project is complete and approved from the City’s perspective. 2.) WRAP-UP: Work with us or your chosen contractor to perform a final walk-through. This allows you, the client, to address any open issues and punch list items. We guarantee all are addressed as quickly as possible to the client’s satisfaction. 3.) CELEBRATION! : The most fun step of them all! We honor our client with a parting Thank You gift, such as a donation to the client’s favorite charity, gift certificate to a restaurant of choice, or nice bottle of wine. Take some time to pat yourself on the back for making such an amazing commitment to your home… you deserve it! 4.) WARRANTEE: Our warranty policy follows the Minnesota requirements for new home and home improvement work by contractors. Construction work is warrantied by the State for 1 year, workmanship and materials for 2 years, installation of heating-cooling-electrical-plumbing systems for 10 years, and major construction defects have a life-time guarantee. Check with your chosen contractor on warranty policies and make important note of them! 5.) A VISIT FROM US: Our standard best-practice includes a visit from us one year after project completion. We will walk through the entire project space with all clients to confirm satisfaction and address any items that have arisen (think: drywall or other touch-ups). 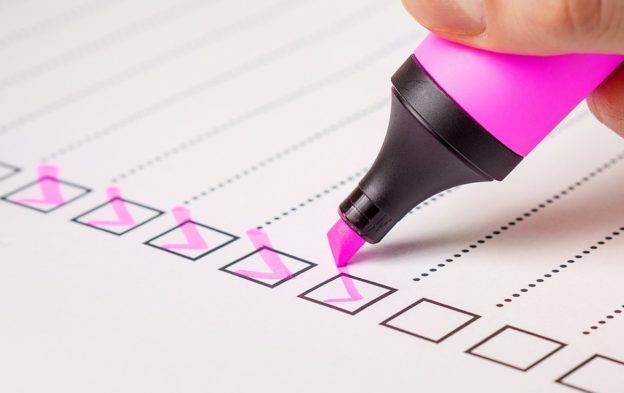 Keep up the good work and make sure to follow these steps when checking a project off of your list! This entry was posted in Helpful Hints, Insights on July 16, 2018 by Krista Boyum. "The attention by Showcase and their effort to please us as homeowners exceeded all our expectations!"